A perfect choice of heat source for warm Gutta Percha techniques. Faster, simpler, better. Without sacrificing clinical control, the System-B is the choice of many endodontists for predictable obturation. Just dial in the exact temperature and the System-B Tips and Pluggers reach that temperature in a fraction of a second. The System-B is the perfect tool for Dr Buchanan’s “Continuous Wave” techniques. 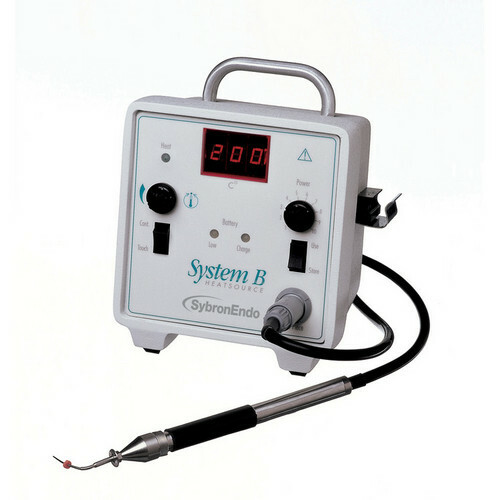 Click the button below to add the SybronEndo System B Heat Source Gutta Percha Root Canal Obturator to your wish list.